Regardless of how you remember to identify poison ivy, the effects that you suffer when you rub against this plant will be the same. An itchy, terrible and blistering rash which is caused by urushiol in the plant. This is an oily resin location in the leaves and stem of poison ivy. The problem comes when you have this plant growing in your yard. You will want your children to be able to play out there, but this plant will be a ticking time bomb. At some point, someone will venture to the plant or fall onto it. 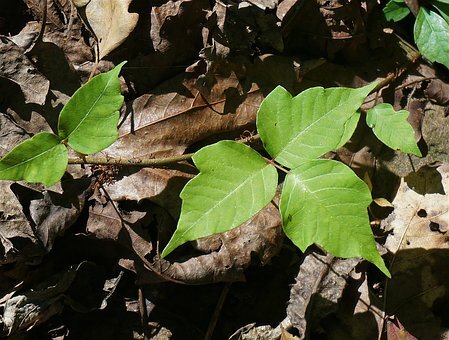 This is why you need to know the techniques you can use to get rid of poison ivy without the use of any harsh chemicals. The first technique you should try is pulling the plants. This is considered one of the best ways to get rid of poison ivy because it is fast, and you will get immediate results. An interesting fact is that some people who are practically immune to the effects of this plant. If you happen to know anyone who is, you should see if they are willing to help you pull the plants. Gloves that do not have any holes and cover your entire hand. Clothing that covers every part of your body which could come into contact with the plant. Duct tape the edges of your pants around your socks and the edges of your shirt about your gloves. While this could seem a bit extreme, these extra precautions will save you from any potential discomfort resulting from contact with the plant. Once you have pulled the plants, you will need to wash your clothing at least twice. This should be done at the highest water temperature recommended for the clothing. Once you are ready, you can start to pull the plants. You should start by digging around 8 inches beneath the plant to ensure that you are getting all the roots. You should then cover the area with mulch or cardboard to ensure that there is no regrowth. After pulling the plant and all of its roots, you need to place it in a garbage bag and set it aside for collection. You should never burn the plants because the oil can spread through the smoke. Composting the plants is also a bad idea because it could pop back up in your garden. If pulling the plants is more manual labor than you are comfortable with, there is another option. You can mix a cup of salt into a gallon of water then add a tablespoon of dish soap. The mixture should then be poured into a water sprayer and then applied to the poison ivy. You do need to be careful with this solution because it will kill any plant that it comes into contact with. It is recommended that you apply the solution on a sunny day as rain will wash it off the plant. You might have to repeat the application a few times before you start to see results. As we are on the topic of this plant, you need to know what to do if you come into contact with it. If you happen to be close to running water, you need to rinse off as quickly as possible. Attention will need to be paid to the affected areas. A full rash can often be prevented when you rinse the area within 30 minutes of contact. If you are out hiking when you come into contact with the plant, you should try to find a stream to rinse off in. If you cannot find water in time, there are some things that you can do to help with the discomfort of the rash. You can try rubbing a paste of baking soda and water onto the area. Taking a bath with a product made for irritated skin can also help. A cold compress may also help to sooth the rash. However, if you wet the area, you need to pat it dry because rubbing with a towel can start the itching. While poison ivy does have very painful effects on humans, it does have a value in the ecosystem. 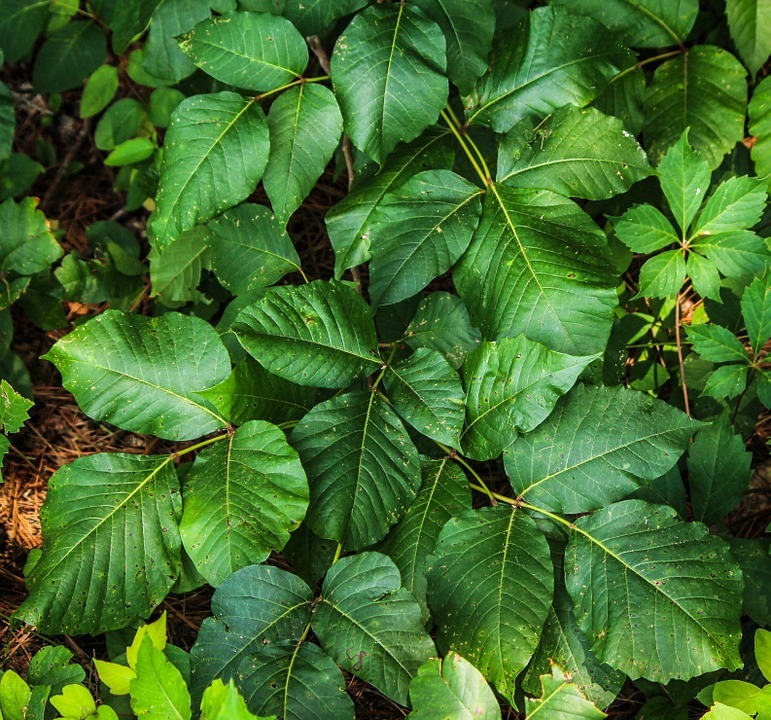 Birds, deer and some insects will eat this plant while small animals will often use poison ivy as a shelter. If the poison ivy in your yard is in a place that no-one will come into contact with it, you should consider leaving it for the wildlife to use.